Most of the Caribbean Islands have the distinction of having a Caribbean Sea coastline and an Atlantic Ocean Coastline. This has allowed many of the islands having some awesome beaches for relaxing as well as great locations for surfing and extreme sports. The close proximity of many of the destinations to each other has allowed for some exciting sailing and island hopping adventures. However, one of the major reasons why these countries provide such a perfect getaway for visitors from international destinations is the ease at which you can travel to the various islands. You will find that all of the major tourism destinations provide you with connection North American and European destinations. To give some reasons why the Caribbean Islands are so amazing include their stunning beautiful beaches that are incredible to enjoy, friendly weather all throughout the year, coral reefs and underwater attractions that speaks the language of nature in every area, excellent resorts and hotels for every occasion, a melting pot of cultures and unique traditions that are just for to experience, and exciting entertainment in all its forms. Traveling to the Caribbean Islands is really not a difficult task at all. You will find many of getaways such as Amsterdam, London, Berlin, Paris, Moscow, Miami, New York, Montreal, Toronto, Los Angeles, and Texas provide flights to many of the major territories with most times one is transferring flight to your final destinations. Only the smaller private islands you will have any additional journey or two by ferry. Some of the main islands that have international airports include Barbados, Grenada, St. Lucia, Antigua, Guadeloupe, St. Martin, St. Thomas, Puerto Rico, Dominican Republic, Trinadad, Jamaica, Cayman Islands and the Bahamas. These islands will allow you to get access to the smaller vacation spots as well as some fantastic vacation destinations in the country itself. Finding a quality vacation resort or hotel in the Caribbean Islands has never been easier. There are hundreds of vacation spots you can choose which are really not costly. You will find that there many excellent world class resorts to should from and some are really affordable one to. 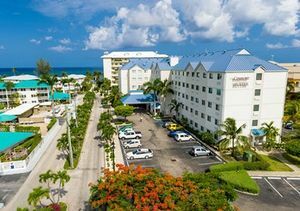 Countries like the Bahamas, Barbados, Jamaica, Dominican Republic, Antigua and St. Lucia will provide you with some excellent resorts when you want an all inclusive vacation package. You will even find all inclusive resorts with rates of about US$100 or less at different times of the year. In addition, you will find different vacation packages for honeymoon, family, singles, small and large groups, camping, and romantic options in all of the islands. Some of the islands that offer adults only vacation packages are the Bahamas, Jamaica, St. Lucia, and the Dominican Republic. Any Caribbean island vacation package to deal with sailing must be based on destinations such and the United States and British Virgin Islands, Tobago, the Grenadines, Guadeloupe and the Bahamas. The Cayman Islands might be the most costly destination you will find, but has some of the best luxury resorts in the region. Brief mention was made earlier of the culture of the Caribbean Islands people. You will find cultural influences from the English, Dutch, Spanish, African, Indians, Chinese, Portuguese, and Indeginous. These different cultural shape the language, entertainment and the foods in each island. You will be amazed by the different cultural practices as you move from country to country. Just to list of few activities you will have fun participate in include golf, snorkelling, scuba diving, island hopping, sailing, cycling, hiking, camping, surfing, windsurfing, parasailing, canoeing, swimming, sun bathing, and deep sea fishing. The list can go on an on. This is just a brief sample of why the Caribbean Islands are such wonderful places to visit all throughout the year.